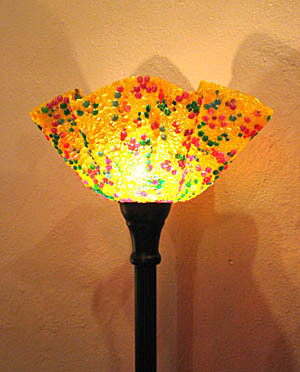 This yellow standing floor light has hints of red, blue & purple beads, with a wonderful warm glow. Size, shade 13" across x 6" tall. Stand 67" tall black.